If your voters fail to plan, your campaign plans to fail! Identifying supporters is vital, but getting them to the polls is what really matters. Use the Grassroots Unwired “Vote Plan App” to lock supporters into a Vote Plan by having them decide how they will cast their vote and use our robust tools to make the plan stick! We can then email this pledge card back to the voter in real time and/or save it as a PDF so you can print and mail it to the voter right before Election Day. 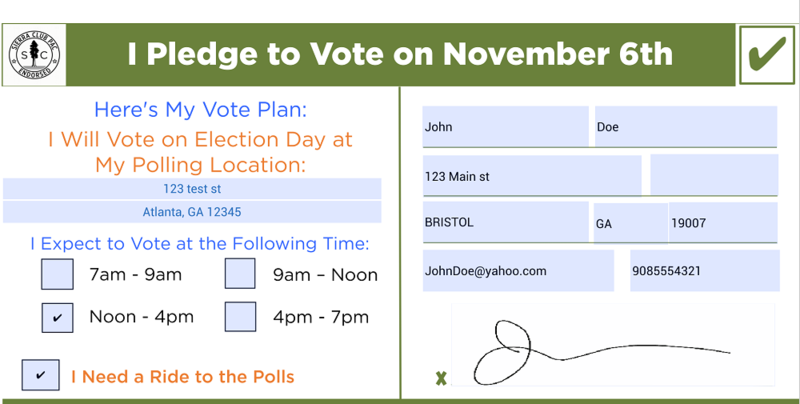 Letting your voters know exactly where they can vote might be the very last piece of the GOTV puzzle. 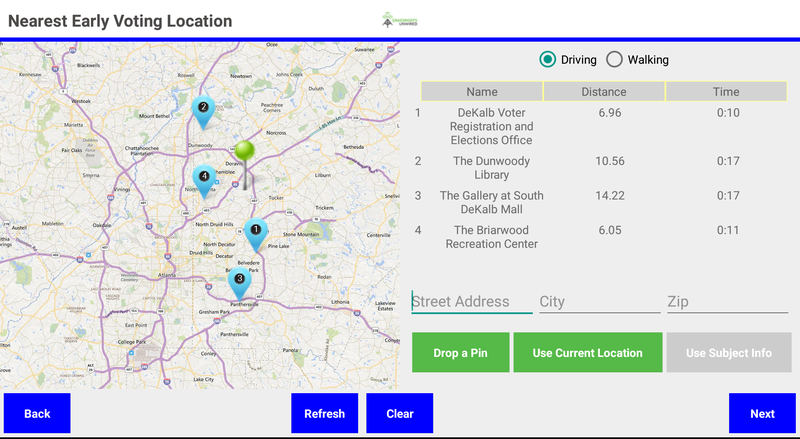 Our Nearest Location tool lets your canvassers drop a pin, or use your current GPS location to show a voter where the nearest polling place, early voting location, or ballot drop-off location is. After showing the voter where they need to go, our platform can automatically text or email the information in real-time! We want your canvassers to be able to speak to as many voters as they can during their shift. That’s why we have designed our Vote Plan App to prefill information on the Absentee Ballot form from the voter file, speeding up the process and reducing errors. Additionally, if the SOS allows requests to be emailed in, we send it in real time. Copyright © 2019 Grassroots Unwired.